This study is based on an ethnographic study of a telemedicine system implemented in Northeastern Peru. This system connects a hospital in the Upper Amazon with health care facilities scattered throughout that area of the jungle. Patients’ transport through the physical nodes of the public health care system relied on rivers and wooden boats, but voice and data can now flow directly through channels apart from the existing health care organization. The time required to reach a doctor might previously have been the travel distance for different medicines served as a justification for people not to follow new ways to recovery. After the implementation of telemedicine, the effectiveness of medical talks depends on the ability to understand each other. Locally there is no single health care practice that is believed to be the right one: patients follow different paths for recovery through traditional and biomedical treatments. Thus, the diverse social environment affects both directly and indirectly the use of the telemedicine system, which evolves accordingly with how public healthcare service is perceived and used. Development - a normative concept whose meaning is deeply rooted in the idea of progress - is a widely legitimated field of activity. It has become highly ramified, as there are economical, human, social, cultural, political developments, depending on which goals are emphasized. Beyond differences, the common meaning of the word implies that oriented social change is conceived as a desirable and morally legitimate improvement. 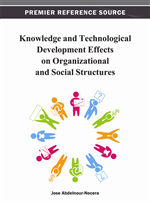 In recent years, knowledge has become a key concept in rewording and reframing development projects; so knowledge is strongly oriented towards the ends. This goes on side by side with the spread of information technologies. IT is often the basis to promote development in the so-called Third World: educational, medical, market, administrative institutions have become knowledge-intensive and coherently redefined their priorities, strategic plans, organized actions, and IT implementations. Through those processes, IT affects constructions of reality, social relations, contexts and perceived senses of normality. ICT tend to reify knowledge, often reduced to transmittable information, and expected to be universal. This prevents us from understanding some aspects of the complex relations between actors, IT-artifacts, and knowledge. The aim of this paper is to show that health care systems -and telemedicine specifically- provide a relevant viewpoint in questioning a universal development approach. I define telemedicine here as the implementation and use of IT for health care delivery purposes. Telemedicine for development is always implemented within health care systems, whose organizational routines are designed on biomedical knowledge. This means that technology is shaped for biomedical usage, and, on the other hand, that telemedicine is affected by the context and made up of intentions and expectations that inform related actions. Telemedicine relies on, implies and promotes a formalized and universal conception of medical knowledge. Assumed universal rationality, and its utilitarian application, risks to make other knowledge types invisible to development efforts, so unexpected side-effects arise and remain unexplained. This paper addresses the issue by describing the telemedicine adaptation to a particular environment, with its interplay with local knowledge forms and health practices. As telemedicine aims at enacting biomedical knowledge, the empirical point of this paper is on the micro-level of encounter between different health delivery practices in the Peruvian Amazon, where a telemedicine system has been implemented within the existing health care system. Telemedicine promises to permeate rural areas providing a synchronous and sharpened contact between physicians and patients, where biomedical knowledge is supposed to become healing action potentially anywhere and anytime. In contexts where biomedicine is not the hegemonic medical knowledge, the objective of improving health care risks making development projects’ organizers reduce local medical knowledge to mere obstacles to their action. Norman (1993), in his theory about distributed cognition, argues that most of the knowledge we have about the environments we live in, is embedded into the artifacts, not in the mind. If so, a telemedicine system use is different from the expected it should make us think that the local knowledge the system enters in interplay with, is different from organizers’ one. In this sense, telemedicine is an artifact of knowledge also for reflexive research. Indeed, telemedicine is an instrument of knowledge for researchers as far as it makes visible local aspects of medical knowledge, and -reflexively- assumptions of health development efforts. How do different medical knowledge meet? How are boundaries between healing practices created, sustained or overcome?